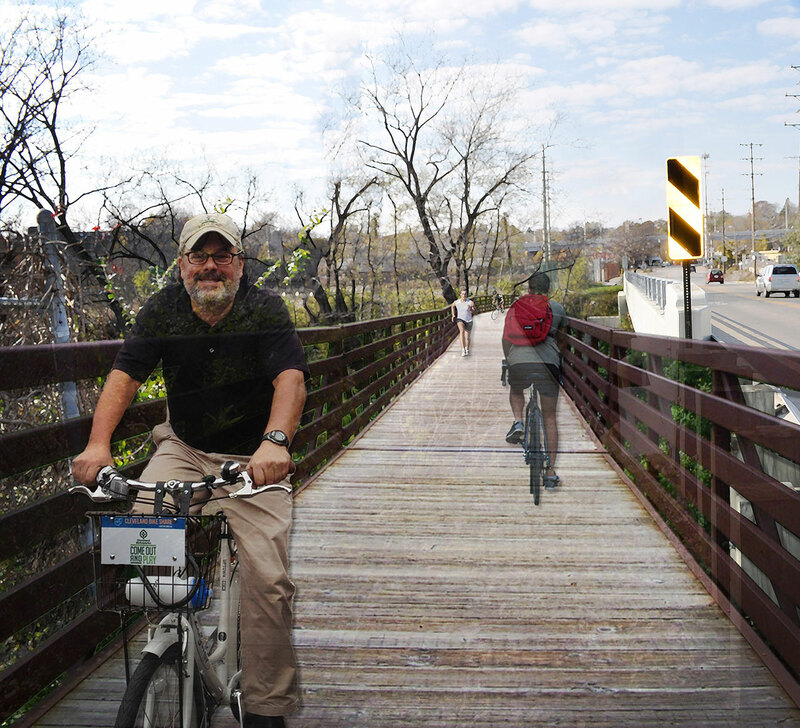 Stage 1 is a 0.7 mile, $4 million extension that connects the Towpath’s Harvard Road Trailhead with the completed Stage 2 section at Steelyard Commons. 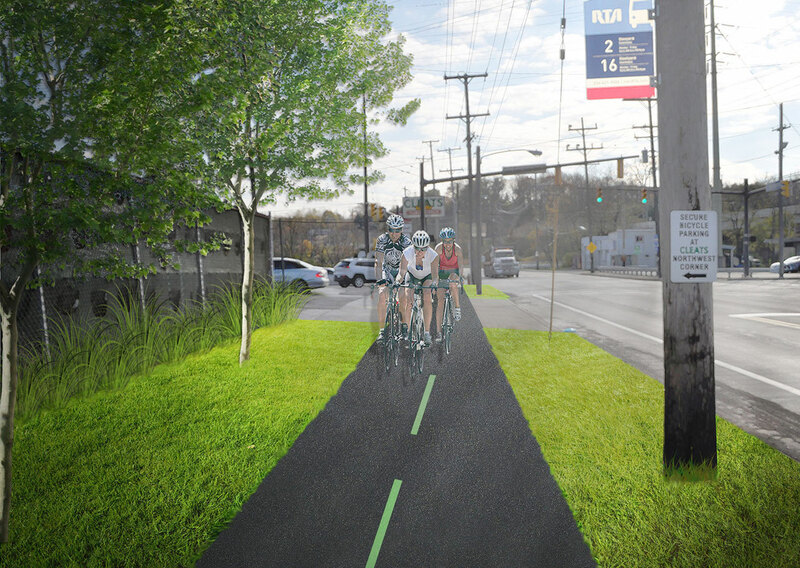 The preferred alignment of Stage 1 will use the public right-of-way along lower Harvard Avenue and Jennings Road, and install an off-road trail/greenway between the current trailhead on Harvard Avenue and Steelyard Commons. Though this stage is the shortest in the Towpath Trail Extension Project, it faces some of the most challenging obstacles on the entire route. This story goes back to the 1940s. Nearly 70 years after the advent of the nuclear bomb, the legacy of the Manhattan Project still influences development in the city of Cleveland. In the early 1900s, Cleveland was one of the nation’s hotspots for chemical manufacturing, and much this occurred in the Industrial Valley. Harshaw Chemical Company was at the vanguard of chemical technology, and it opened a refinery at 1000 Harvard Road to meet its production needs. This site crossed paths with history during the 1940s. The Robert Oppenheimer led ‘Manhattan Project’ was tasked with arming the nation with nuclear weapons, and Harshaw Chemical became a major provider of uranium chemicals to the project. The ‘Manhattan Project’ eventually changed the course of history, as its technology effectively ended World War II and then defined the Cold War era. While the United States’ foreign policy was irreparably altered by the nuclear bomb, its domestic effects should not be overlooked. According to the Encyclopedia of Cleveland, “Between 1942 and 1953, Harshaw released approximately 4,000 pounds of radioactive uranium-fluoride particles annually; making it… a “major contributor” to pollution in Cleveland.” Because of the molecular structure of many of the chemicals refined and shipped from Harshaw, the site remains toxic to this day. Though it’s been years since the Harshaw plant has been operational, its legacy of pollution has scarred the land. The site is currently under the supervision of the Army Corps of Engineers, and until it is completely remediated, no redevelopment can take place. At first glance, the Harshaw site was a sensible route for the Towpath because the neighboring land to the north still buzzes with industry. Unfortunately, the deeper the EPA and the Army Corps of Engineers investigated the Harshaw Chemical site, the further back it pushed the remediation target date. Over the course of many years, the Towpath Trail Management Team analyzed alternate routes for the Towpath. On paper, the best alternative would have run the trail along the Cuyahoga River, but issues with underground infrastructure, Americans with Disabilities Act ramping limitations, noxious odors, and mountains of slag made this option nearly as onerous as the Harshaw route. 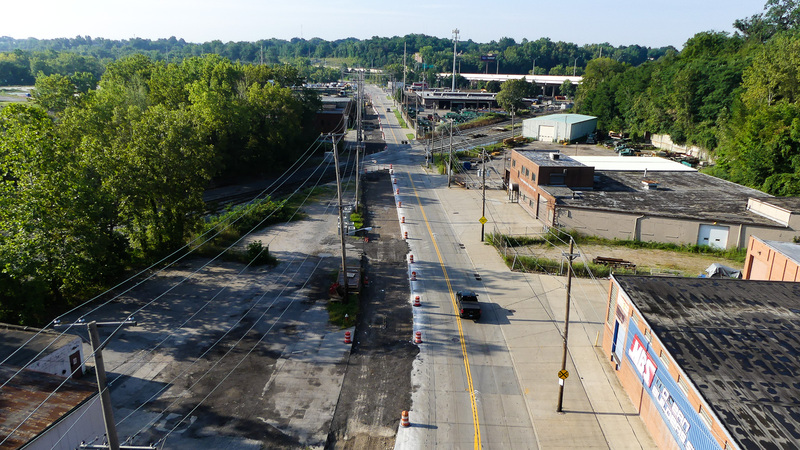 In summer 2012, the Cleveland Metroparks painted sharrows along lower Harvard Road and Jennings Road to help direct Towpath traffic to-and-from Steelyard Commons. 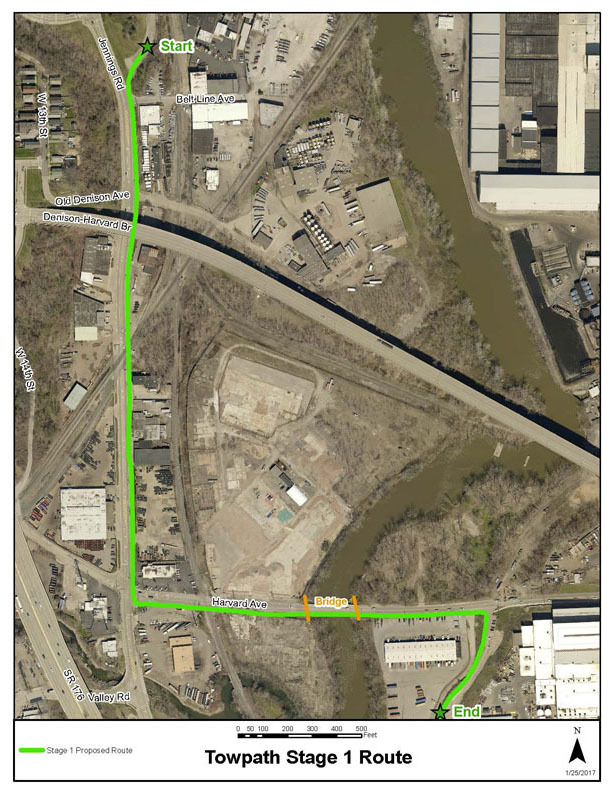 The Towpath Trail Management Team eventually determined routing the trail on the right-of-way along the east side of Jennings Road provided the best mix of project viability and user experience. Stage 1 construction commenced in spring 2018.